On February 21, Wolfgang Hamburg was on holiday in the Erzgebirge, but rather had snow there. 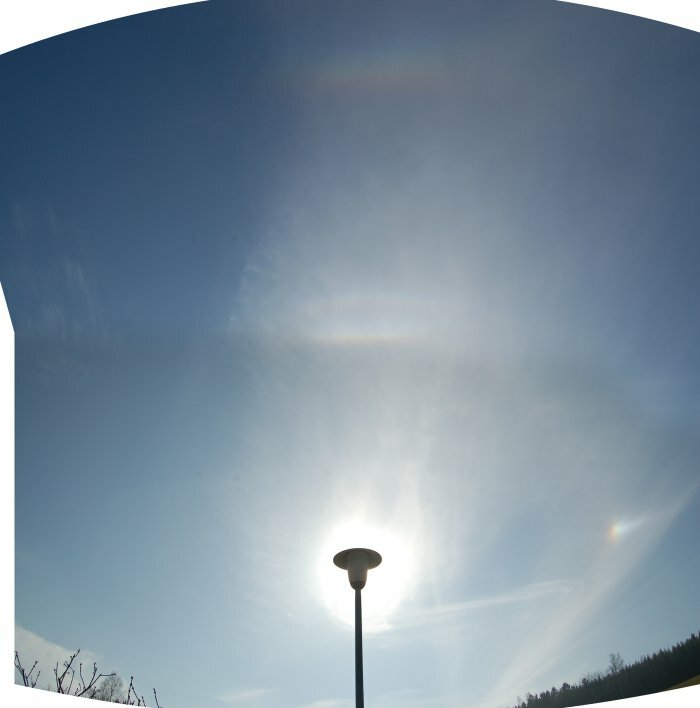 Around noon, the cirrus clouds which already had caused an unusual halo activity in Bavaria (see one thread below), arrived at his position in Mulda. So between 1 and 1.30 pm, Wolfgang Hamburg also observed unusually bright sundogs followed by a beautiful display showing Parry arc and upper Lowitz arc. The enhancement of the unsharp mask shows the arc in the "Chinese eye" formed by the halos.